Wu-Tang Clan continue to expand their 36 Chambers 25th anniversary tour, which is hitting cities all around the world this year. They already played a hometown show at NYC’s Terminal 5 this past January, and now they’ve added another NYC show for June 16 at Ford Amphitheater at Coney Island Boardwalk. Tickets for that show go on sale Friday (3/22) at 10 AM with an artist presale starting Wednesday (3/20) at 10 AM. PASSWORD = 36CHAMBERS. 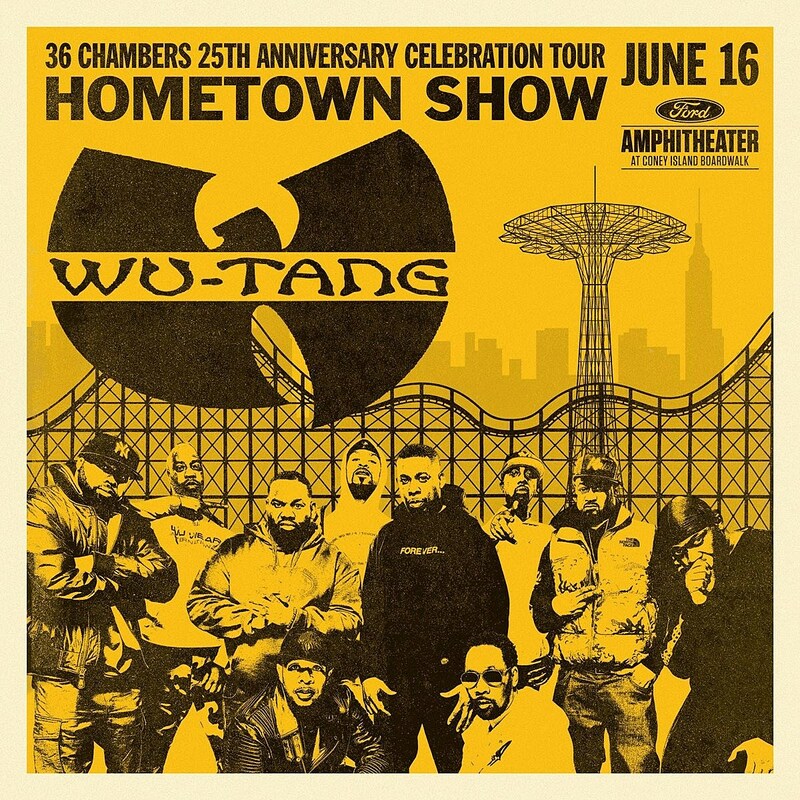 Wu-Tang play Hamden, CT (6/14) with The Soul Rebels and Atlantic City (6/15) right beforehand. All dates here. Before the Wu-Tang tour picks back up, GZA is playing Liquid Swords in full on tour, including a NYC show on May 2 at Sony Hall (tickets).